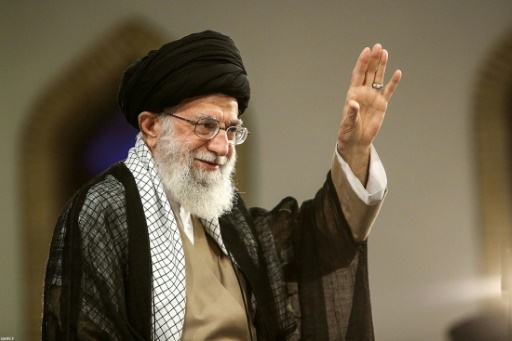 Tehran (AFP) – Iran’s supreme leader said Monday there would be neither war nor negotiations with the United States, and that the country’s problems were the result of government mismanagement more than renewed sanctions. Ayatollah Ali Khamenei’s comments add to the pressure on President Hassan Rouhani following a collapse in the currency and widespread protests over high prices and corruption. “Beside sanctions, they are talking about war and negotiations… let me say a few words to the people: THERE WILL BE NO WAR, NOR WILL WE NEGOTIATE WITH THE U.S.,” Khamenei said via his official Twitter account in English. There was also a show of military resolve as Defence Minister Amir Hatami unveiled a next generation short-range ballistic missile and vowed to further boost the country’s missile capabilities. Despite renewed sanctions, many Iranians — including many at the highest levels of the establishment — see US hostility as only a contributing factor to long-standing problems inside the country. “Today’s livelihood problems do not emerge from outside, they are internal,” Khamenei said in another tweet. “Not that sanctions don’t have an impact, but the main factor is how we handle them,” he added. Khamenei mirrored recent criticism of Rouhani’s economic management from senior members of the clergy and the Revolutionary Guards — particularly over the collapse of the rial, which has lost around half its value since April. 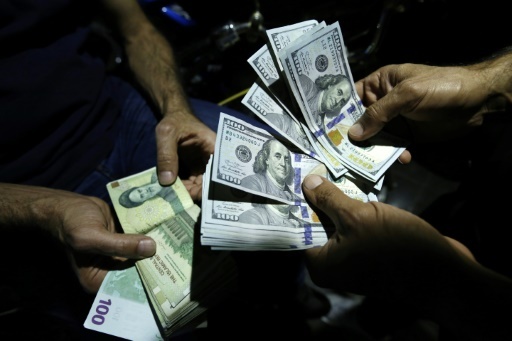 A fortnight ago, Guards commander Mohammad Ali Jafari told Rouhani to take “revolutionary actions to control prices and prevent the enormous increase in the price of foreign currency and gold,” in an open letter published by the conservative Tasnim news agency. But Khamenei criticised conservatives who called for Rouhani’s resignation, saying they were inadvertently “playing into the hands of the enemy”. “The government must stay in office and powerfully carry out its duties to resolve the problems,” he said. Part of the strategy has been an effort to show action against Iran’s deeply entrenched corruption, which Khamenei once described as “a seven-headed dragon”. Some lawmakers have criticised the move, with high-profile MP Ali Motahari saying on Monday that parliament must not be “by-passed” when writing new rules. Although the other parties to the agreement — Britain, France, Germany, China and Russia — have vowed to resist US sanctions, many foreign companies have already abandoned projects in Iran for fear of US penalties. A significant cut in oil sales is also expected when the US reimposes a second phase of sanctions in November — with some analysts estimating a drop of 700,000 barrels per day from its current level of 2.3 million. Khamenei’s tweets followed a speech in Tehran, in which he described Trump’s offer of talks as “a dangerous game” and his administration as a “bullying, fraudulent regime”. “Even if we ever — impossible as it is –negotiated with the US, it would never ever be with the current US administration,” he added. Featured Photo: KHAMENEI.IR/AFP / – Iran’s Supreme Leader Ayatollah Ali Khamenei gestures during a rally in the capital Tehran on August 13, 2018.